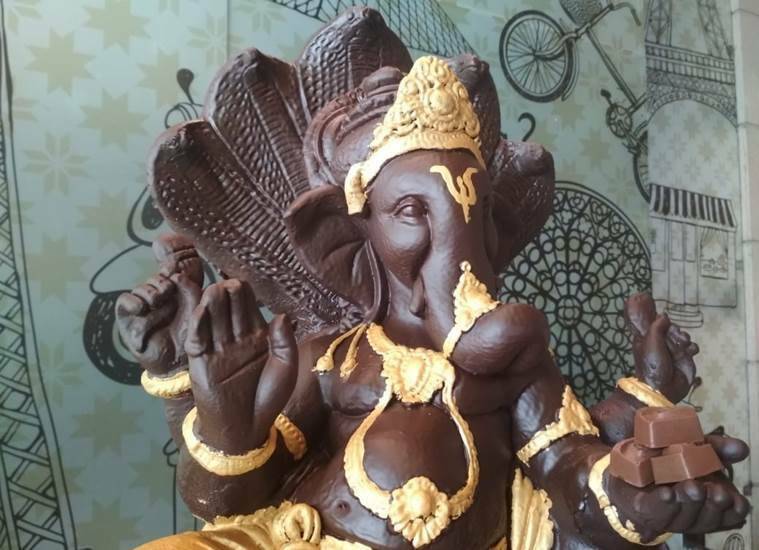 For third year in a row, a Sikh restaurateur and chocolatier in Ludhiana has prepared an edible Ganpati idol with pure dark Belgian chocolate to celebrate the festival of Ganesh Chaturthi. The idol will be immersed in milk for Ganesh Visarjan and chocolate milkshake will be served to underprivileged children, thus giving out a message of celebrating eco-friendly Ganesh Chaturthi. 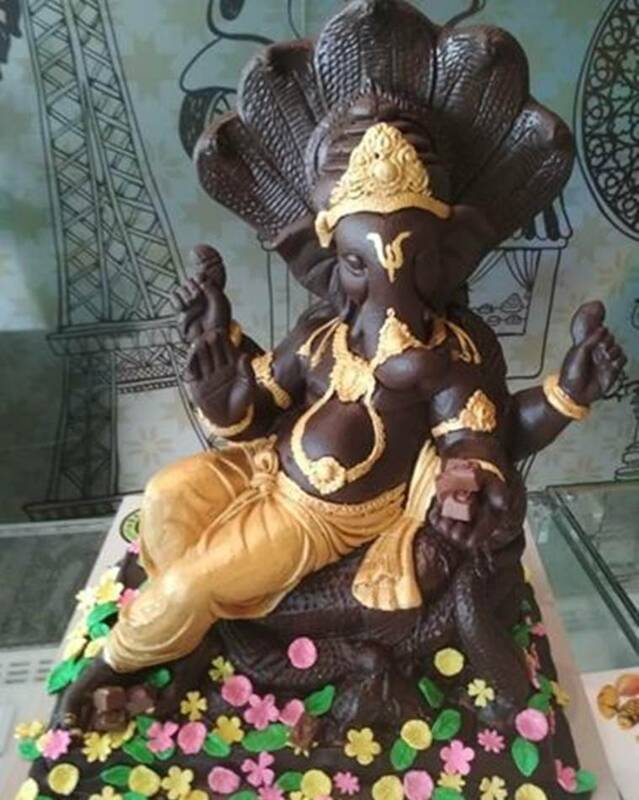 Even as this festival is not so popular in Punjab and not celebrated widely, Harjinder Singh Kukreja, co-owner, Belfrance Bakers & Chocolatiers, Ludhiana has been preparing chocolate Ganpati since three years to give a message of eco-friendly festivities and communal harmony. 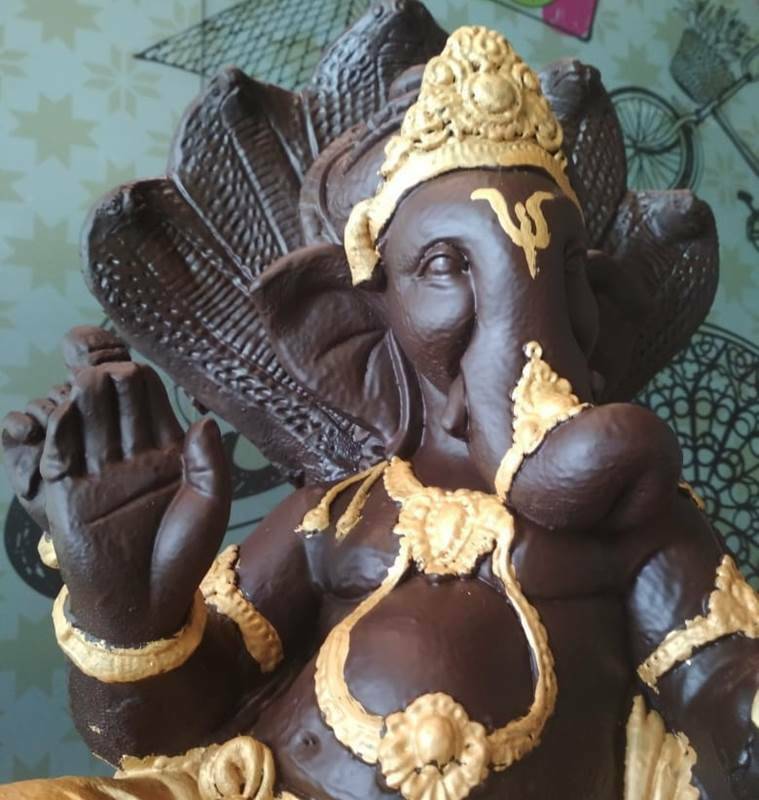 The idol, which was put on display at his cafe which specializes in serving Belgian chocolates in Sarabha Nagar market of Ludhiana Thursday, is attracting a lot of visitors. Kukreja added that a team of twenty chefs including bakers and chocolate sculptors who work at his cafe which specializes in serving Belgian chocolates, completed the idol in ten days. “It has been a complete team effort with twenty of my workers making it. 65 kilograms of dark chocolate imported from Belgium is the main ingredient. Edible golden color was used to give final touches. Food wastage should be reduced in every way possible so we are making edible Ganpati since three years,” he added.